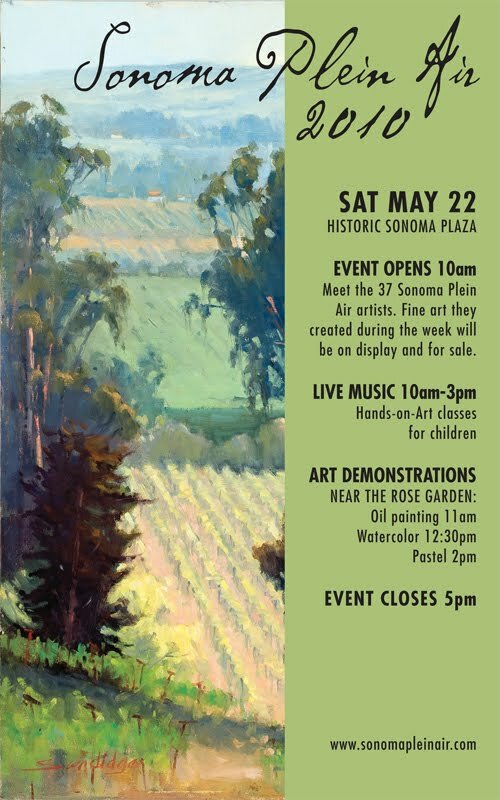 An astonishing event for artists and residents of Sonoma (who generously provide rooms for artists roaming around the valley painting). Check out the blogs of Bill Cone, Terry Miura, Robin Purcell, Paul Kratter, Randy Sexton, Carol Hesse-Low, and Tim Horn. This entry was posted in Art Events, Painting, Pastels on 2010/06/04 by FriendlyHelper.